Gelato #33 is an evenly-balanced hybrid bred by the masters at Eco Firma Farms. This strain is known for having a plant covered in vivid amber hairs and dark green purple buds. Its sweet citrus taste is also fruity. 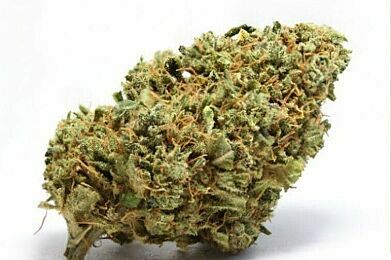 Its energetic and uplifting effects can help treat stress, depression, pain, cramps and migraines. Gelato #33 strain is recommended for daytime and nighttime use. 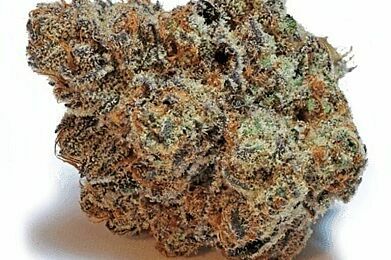 Type of High Gelato #33 cannabis strain gives a strong cerebral and body high. It starts with an euphoric boost that is uplifting, happy and focusing. Even in this euphoria, you feel very relaxed and calm. Genetics Breeder: Eco Firma Farms. Strain Lineage: Gelato #33 cannabis strain comes from a cross between Sunset Sherbet and Thin Mint Girl Scout Cookies strains.